In November 2002, New York University officially dedicated the Larry Rosenthal Institute for Aesthetic Dentistry in honor of Dr. Larry Rosenthal, a graduate of the NYU College of Dentistry and an internationally renowned pioneer in his field. The Rosenthal Institute is the nation’s first university based program wholly dedicated to fostering continuing education, research, and patient care in current and emerging techniques in aesthetic dentistry. The Rosenthal Institute also houses NYU College of Dentistry’s continuing education program, which annually attracts more than 4,000 dentists from more than 20 countries, making it the most far-reaching program of its kind in the world. To continue reading this noteworthy article click here. 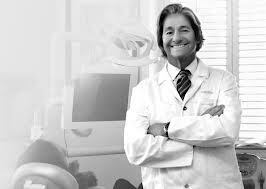 Call today to enroll in Dr. Larry Rosenthal’s Hands-On Aesthetic and Restorative Continuum at New York University College of Dentistry’s State of the Art Rosenthal Institute.212-794-3552 or www.aestheticadvantage.com.